My stripe and new found flare love continues. I bagged a bargain on EBay with these monochrome, stripe, wide leg trousers and I absolutely love them especially as they only cost me £5 - god love the sellers of EBay! I wore them high waisted which meant they were a perfect length with flats and kept the rest of the outfit simple with all black as they were quite the eye catching trouser! I am finding it hard to put a paragraph together tonight as the last 3 days I have been working at Pure London so my brain is frazzled and my feet are sore! I am in bed enjoying The Secret lives of 4 year olds which is just adorable, easy watching and making me giggle! I'll be back next time with a more chatty post but right now it's Night, Night from me. 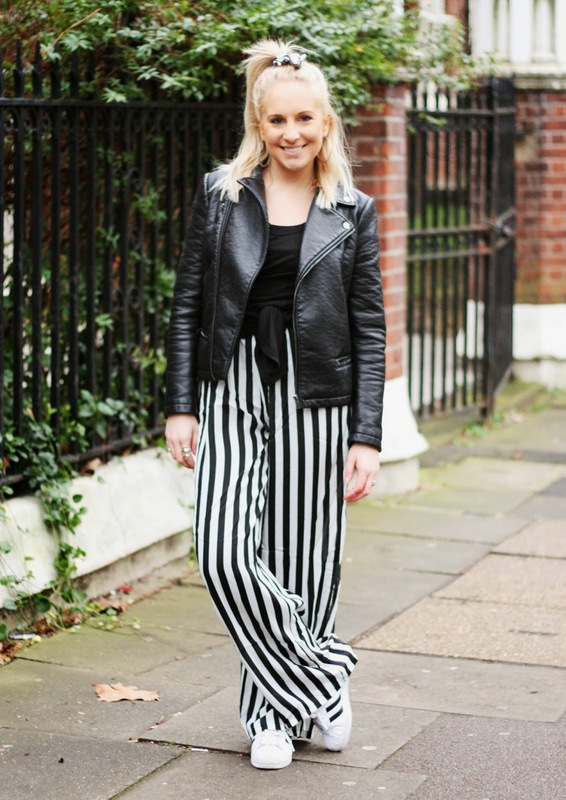 love these trousers - such a bargain and they look so comfy! Those flares are INSANE! - u look super cool! Looking so gorgeous! Definitely need to watch the Secret Life of 4 Year Olds too - it looks SO cute! What a bargain those trousers were! And I watched that show last night, those kids were incredible! PS Watched that 4 year old thing last night too....absolutely hilaire....I could swear the boy that ate the chocolate cake was about 12 and a future serial killer!! wow that's such a bargain! they look great! 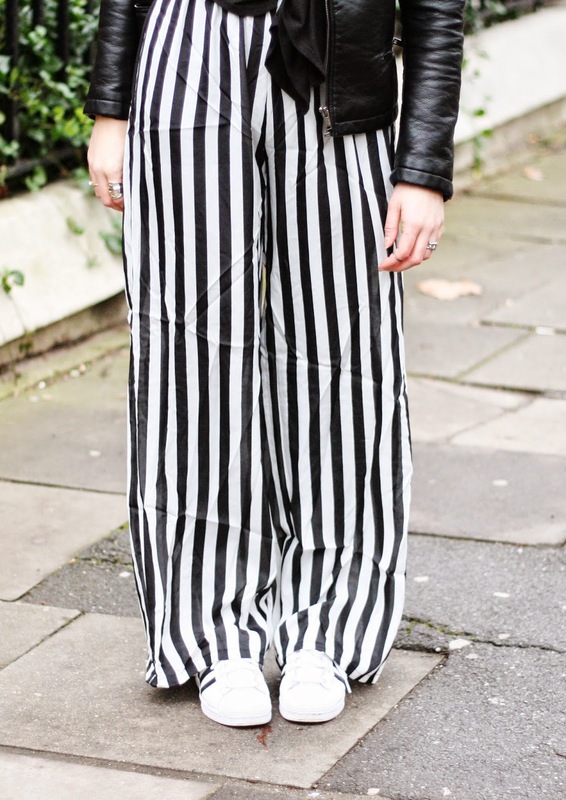 Loving this outfit and your bargain pants are so cool! Love a good Ebay bargain!! Loving your hair style and you are simply gorgeous, lady! you ALWAYS find the best bits.